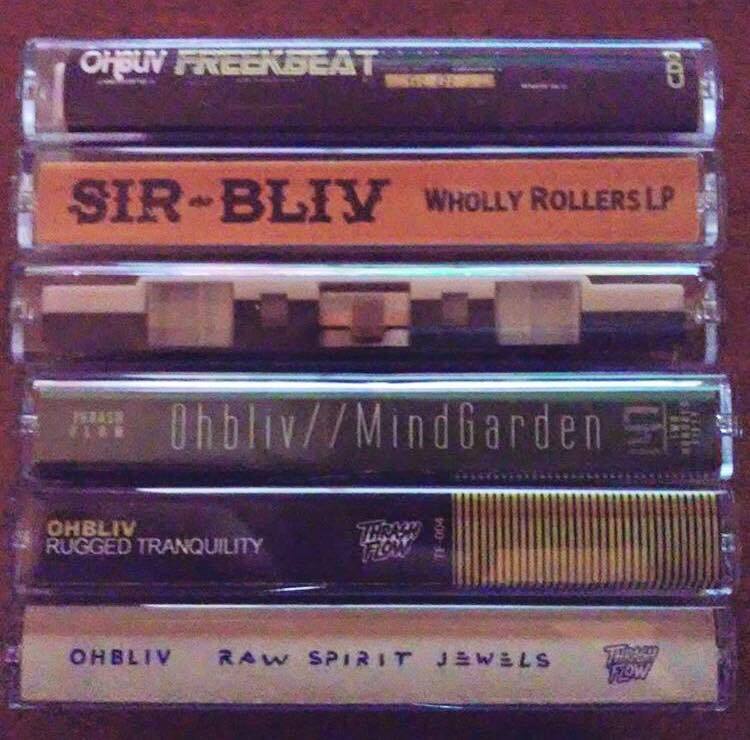 Forging three identities into one, the multifaceted producer of soulful hip-hop beats best known as Ohbliv has been a part of the game for over 10 years. He’s seen Richmond hip-hop go through a cultural boom, and helped define the direction that it’s moving in today. Ohbliv, better known by his loved ones as Bradford Thomas, is a busy man; he spoke to us on the phone while picking up his kid from school. Juggling his personal life and two different artistic persona keeps him busy, but Ohbliv makes it work. His most recent project, Never Did We Not Exist, released under the moniker DarkTwaine by Los Angeles label Rap Vacation, is an experimental cacophony of sounds ranging from djembe drums to ambient samples, which manages to stay grounded with a hip-hop influence. I was initially surprised that it came from the same person, which Ohbliv found amusing. “DarkTwaine is my more experimental ambient… just weirdo stuff,” he explained. Never Did We Not Exist is actually a coded message for black people and other people of color. “When it comes to black people, melanated people, people of color, or however you want it, in my understanding, we’ve always been here,” said Ohbliv. The artwork for the album follows suit, using the occult symbols that often appear in his work to reinforce the idea of a subliminal, positive message. This is reflected in track titles like “True to the Bloodline” and “Melanic Brew,” both of which come from his July 2017 DarkTwaine release, Mind Time. His ability to reach for more than the typical bass driven beats gives him more directions in which to take his music. Thus, the need to release several projects and under different personas. His work is undeniably human.